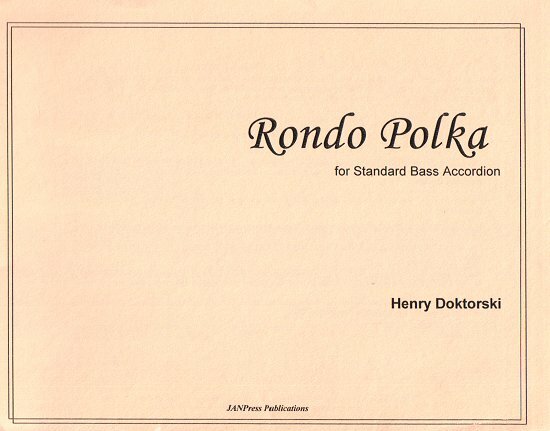 Printed Music: Rondo Polka for solo accordion (stadella left hand) by Henry Doktorski (1997, revised 2002). Duration: 4 minutes. Professionally typeset, printed and bound. Score = 9 pages and measures 8.5 x 11 inches. Recorded by Doktorski on the CD: Classical Accordion Recital. Many polkas bear the resemblance to either of the long traditions of Slavic, Italian, French, or German polka forms that preceded them. 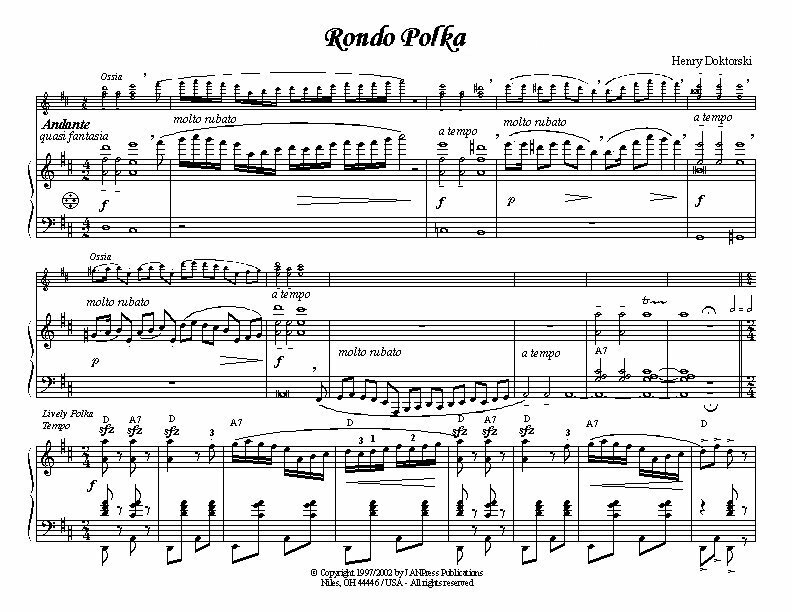 However, this particular polka really seems to have its roots in the Classical music tradition, and sounds very much like something Haydn or Mozart would have created in fun if they were still alive today. It’s quite an elegant little piece with a new twist on the polka form. Very enjoyable music. “During my last year as a graduate student at the Duquesne University School of Music, I got a gig through the music office to play at an event in Duquesne University’s A. J. Palumbo Center, a 4,000-seat multi-purpose arena which is home to the Duquesne Dukes basketball, volleyball and wrestling programs. “The event I was contracted to play was a gala banquet to honor the arena’s benefactor, Antonio J. Palumbo (1906-2002), a wealthy businessman (regarded as one of the richest men in north-central Pennsylvania) who jokingly refered to himself as a “poor coal miner,” because he got his start during his teen and early adult years working as a blacksmith and bookkeeper for his immigrant father’s coal company in Clearfield County. Later in life, he became a great philanthropist and donated millions of dollars to Duquesne University and other institutions. Rondo Polka is an interesting, exciting and entertaining piece which never fails to draw smiles and applause from audiences. Andante introduction and first line of the main theme. The Ossia part is for accordionists who have smaller hands. Listen to Henry’s Rondo Polka.